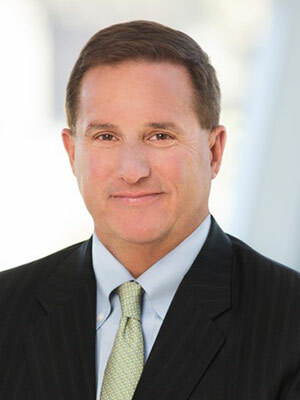 Mark Hurd attended Baylor University on a tennis scholarship and graduated in 1979 with a bachelor's degree in business administration. He is Vice Chair, Baylor University Board of Regents and serves on the Executive Committee. In November 2018, Mark and Paula Hurd gave a lead gift to launch the public phase of Give Light, a $1.1 billion comprehensive philanthropic campaign for the future of Baylor. Their gift, one of the largest in Baylor history, will create a new entry point to the University – the Mark and Paula Hurd Welcome Center. Designed to serve as a center for academic, social and cultural activities, the Hurd Welcome Center will offer visitors a high-tech, interactive introduction to Baylor. In 2009, Baylor named its tennis clubhouse the Hurd Tennis Building in recognition of the Hurd family’s role in improving the facilities, and the University’s larger tennis complex was named the Hurd Tennis Center in 2011. Baylor University hosted the NCAA Tennis Championships in 2015, and Tennis Magazine named the Hurd Tennis Center the No. 1 college tennis facility in the United States. Hurd has also supported the Baylor Bear Foundation and the Men’s Tennis Excellence Fund as part of his contributions to Baylor sports. Hurd’s contribution to Baylor tennis has helped create one of the strongest programs in the country, fielding several men’s and women’s top-10 Division 1 tennis teams over the past decade. Mark Hurd is chief executive officer of Oracle Corporation and a member of the Board of Directors. He is responsible for directing corporate strategy, managing sales and marketing direction, and growing Oracle’s cloud offerings. During Hurd’s tenure at Oracle, he has helped drive the company’s transition to an industry leader in cloud computing. He also launched Oracle’s Class Of program, which has recruited thousands of recent college graduates to Oracle’s sales force. Hurd has appeared on Bloomberg TV, CNBC, and Fox Business Network to share his perspective on artificial intelligence, cloud services, and other cutting-edge technologies. He previously served as the CEO of NCR Corporation as well as chairman and CEO of Hewlett-Packard. He was listed as one of Fortune magazine's 25 Most Powerful People in Business in 2007, received the American Football Association's CEO Coach of the Year award in 2009, and was listed multiple times as one of the Market's Best Managers by Forbes.